New Session file format *.nwm. Project files (*.xmlp) saved from Soundvision (version 3.1 minimum) can be loaded to automatically create Sessions matching the Soundvision simulations. Possibility to later synchronize Zoning groups parameters. Autoclimate feature to adjust the gain of the Air Compensation filters at once on all groups imported from Soundvision. New interface for IP settings: added subnet mask and gateway settings for installations with a centralized supervision of multiple venues. 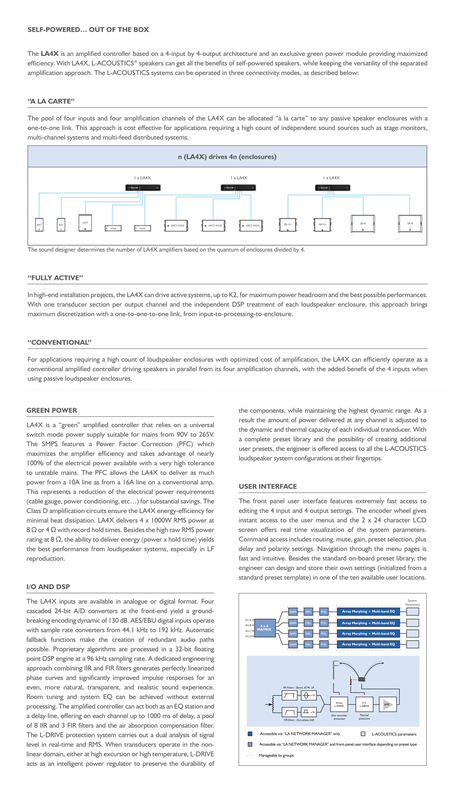 Store and recall of configurations including group parameters from QSC® Q-SYS™ control platform for Fixed Installations.